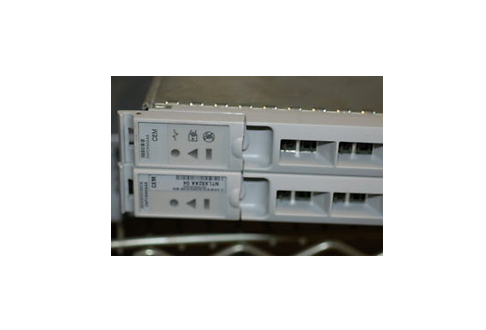 Nortel SPME options allow you to extend and install leading Nortel switches like the DMS 100 and 250. They’re the perfect addition to your network for reaching rural areas, delivering new data services or upgrading to a hybrid VoIP as customer demands shift. These spectrum peripheral modules deliver an entire high-speed optical interface switch peripheral that will reduce the amount of space your existing equipment needs while also reducing overall operational costs. Your network gets to embrace new converged service capabilities. Utilize the latest in flexible architecture to expand support for multiple networking technologies at an affordable rate when you get a used Nortel SPME specifically engineered to support your local (DMS 100 and 200) long distance (DMS 250) or multiservice (DMS 500) network structure. We’ll give you a fully engineered and verified platform that exceeds OEM standards and operates in a wide range of configurations. Worldwide Supply is a leading provider of refurbished Nortel SPME systems designed to support your existing infrastructure as you expand and grow your network. Whether you need market-specific functionality or want to include TDM and Packet tech in your latest growth area, we have the right, optimized refurbished Nortel SPME for you. Inject flexibility into your network as you transition from copper to SONET or get concurrent support for multiple trunk types on a single module. A used Nortel SPME can also help you consolidate transport thanks to an OC-3 Packet interface that also yields dramatically reduced physical space requirements, power costs, load on cooling systems and cross-connect requirements.